Stretch marks are a form of scar that result from the rapid stretching of skin as might occur during pregnancy or rapid weight changes. 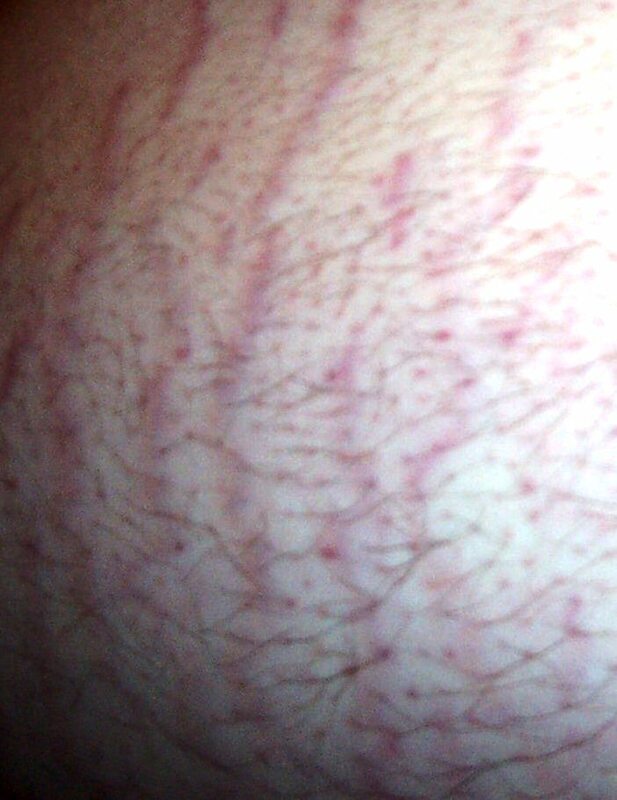 Stretch marks may appear discolored (reddish, purple or darker than the surrounding skin) and smooth. The appearance of the stretch marks may lessen over time, but they do not fade completely. Stretch marks that arise during pregnancy are referred to as “striae gravidarum”. These usually appear on the abdomen, breasts, thighs and hips. Pregnancy-related stretch marks have been reported as occurring from 50% to 90% of pregnancies. This is due to the physical stretching of the fibers within the skin, as well as the hormonal changes of pregnancy. There is no evidence that topical treatments for sale over-the-counter are effective at reducing the appearance of stretch marks. Your doctor will recommend a treatment based on the location of the stretch marks, their prevalence and your personal preferences.